Gun at dive station 3. Tap or click to enlarge. 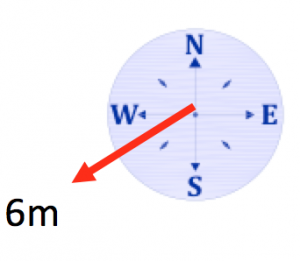 Turn to face north. 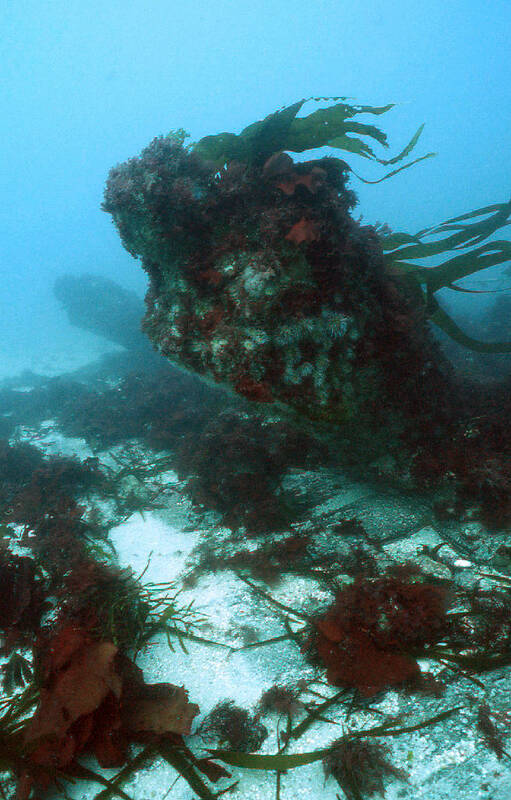 In front of you now is one of the five eighteen-pound iron guns standing upright on the seabed, their muzzles buried in the sand. If you look carefully you will see that the guns are still within their gun ports. Immediately in front of you there is timber exposed on the seabed. This is the inside face of the ship. 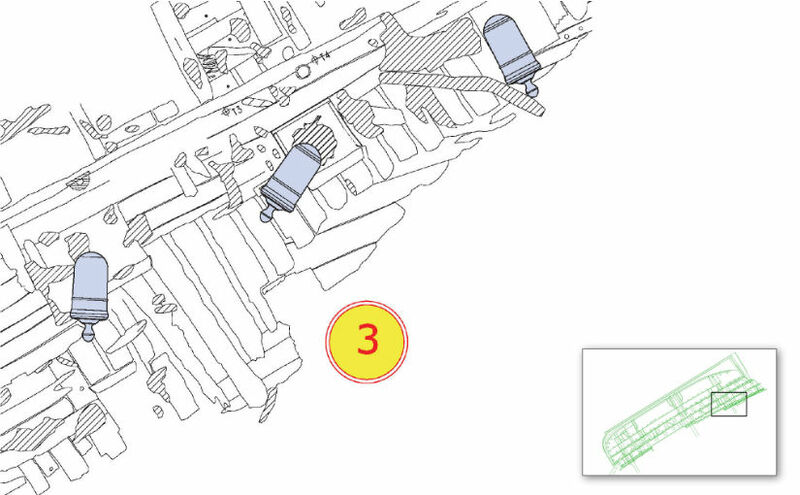 You will also see an empty gun port very close to station 3. This is one of the quarter deck gun ports, where smaller nine-pound guns would have been. Colossus carried 74 guns on three different levels. These were all smooth-bore cast iron guns designed to fire a variety of projectiles (grape, case, bar, chain and round shot). The guns were classified according to the weight of round shot they fired. The lower gun deck had 28 thirty-two pound guns; the upper deck had 28 eighteen-pound guns while the quarterdeck and forecastle held the remaining 18 nine-pound guns. The guns visible on site are eighteen-pound guns of the Armstrong type, while the lower deck guns were the newer Blomefield design.